Alamo Half - Are You Ready To Run? 2015 Alamo Half & Run Fest Photo Review. 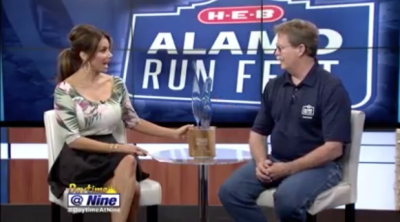 Check out why this is San Antonio's premier, locally produced 'homegrown' Half Marathon & Running Festival. The one-of-a-kind Alamo Half marathon route passes not only numerous downtown landmarks like the Alamo but also runs through historic Fort Sam Houston before finishing INSIDE the Alamodome! It's fun, it's big, and it's loaded with tons of awesome volunteers supporting all the runners. 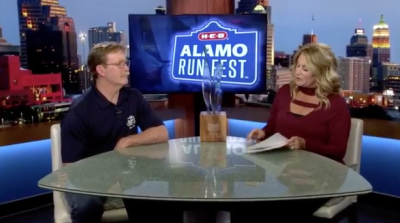 Interview with Wendy Gumbert of Texas Paralympic Sport discussing elements of the Wheelchair and Adaptive Athlete divisions in the Alamo Run Fest. It's both a special and an inspiring part of the event. A video review of San Antonio's premier Spring running event, with the "best Half in the first half" of the year, the Alamo Half marathon. A running 'festival', it also includes the Alamo 10,000 and SA/Alamo-5K as they take to the downtown streets of the Alamo City, all headed for an exciting, one-of-a-kind finish line INSIDE the Alamadome.